Searching for Quality Timber Supplies this Spring? Home / News / Searching for Quality Timber Supplies this Spring? Spring is very active month for builders, and timber supplies in Melbourne are highly sought after for all types of projects at this time of year. From DIY home improvers to residential and commercial builders, having a reliable Melbourne timber supplier can have a positive impact on the project you are planning for a variety of reasons. A reliable Melbourne timber supplier will be able to fill custom orders for your timber supply needs. Whether you are looking for sawn and dressed timber, timber decking, fencing products, garden sleepers or any other timber products cut to size, using a trustworthy treated timber supplier will mean that you will receive a complete quality order tailored to suit your exact needs. Another advantage of using a reputable timber product supplier in Melbourne, is that their knowledge and precision when it comes to cutting and filling orders correctly, will ensure efficiency and accuracy. Sticking to schedule is a very important element of any project, so it is best to engage with a timber supplies company in Melbourne who is highly experienced as it will save you time in the long run. There is no better start to a building project than having quality supplies at the ready, so when it comes to ordering timber in Melbourne, it is recommended to use those who know timber supplies best. 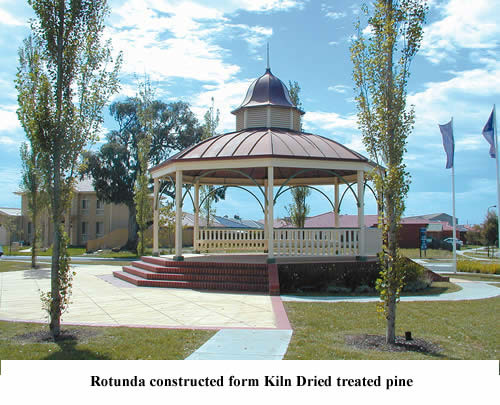 Australian Treated Pine has been servicing Melbourne builders, councils, individuals and corporations since the 1980’s. We are the timber supply experts in Melbourne for projects of any size. Contact our customer service team today for advice and assistance regarding your Spring project.